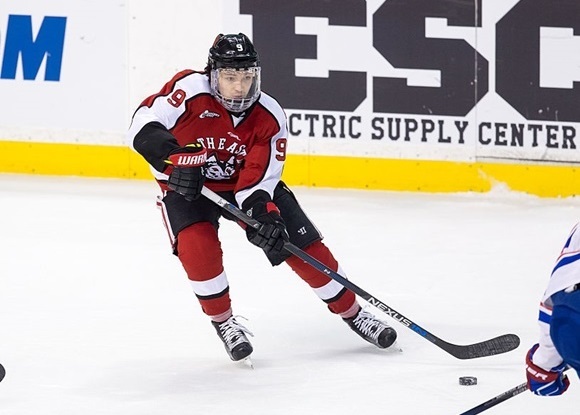 After Northeastern was eliminated on Saturday, Chicago brass met with forward Dylan Sikura on Sunday morning and signed the organization’s top prospect to an entry-level contract. It appears Sikura could be in the NHL lineup for the Blackhawks as early as Thursday. Great news hopefully he’ll turn out to be an A type prospect. Can’t wait to see who he gets paired up with. Now if we can add some defensemen that would be nice. Good. The Hawks have had a rough year, but are still one of the Marquee franchises in pro sports. That and knowing that he will play right away had to make it a pretty easy decision for Sikura. Admittedly much can change between now and the start of the 2018/19 season, but taking assessment of the young forwards as it looks right now (excluding the not so young guys like Toews, Kane, Anisimov, Saad). Building blocks: Schmaltz, DeBrincat, Sikura (hopefully). Maybe contributers: Kampf, Highmore, Edjsell (#14). So if we take the 4 vets (19/88/15/20) and add the 3 building blocks (8/12/Sikura), the 2 solid contributers (40/48) and the 3 maybe contributers (64/36/14) – we have 12 forwards. Add in a Wingels type vet and there are the 13 forwards for 2018/19. All is not dead – at least for now! Wraparound, even if the Hawks have a chance to draft Tkackuk or one of the other forwards, I still think they need to draft a d-man because there are a bunch of high-end d-men at the top of the draft and probably at least 2 or 3 of them will end up as top pairing guys. Even if Jokiharju pans out, he’s not good enough defensively to be a true top pairing guy. The Hawks cupboard doesn’t have any top pairing prospects on defense. They have a bunch of guys that may be good enough to play in the NHL someday but none of them project to be Keith’s replacement. After Dahlin, there is Bouchard, Hughes, Dobson and several others that would be worthy of a top-10 pick. I got a look at Hughes yesterday in the Northeastern – Michigan game and he is a slick little player. He doesn’t have size but he’s got everything else to make him a top pairing guy someday. ROSTER NEWS: Forward Victor Ejdsell has been recalled from Rockford. Maybe we can now trade one of our skilled smurf sized forwards(Sikura included)for a legitimate top 4 dman. Great to see. Some good news for the hawks and the fans. Looking forward to seeing him and Ejdsell for the last handful of games. Sikura will wear #95 (his birth year). Edjsell’s first game should be against San Jose tomorrow. Sikura’s first game should be against Winnipeg on Thursday. 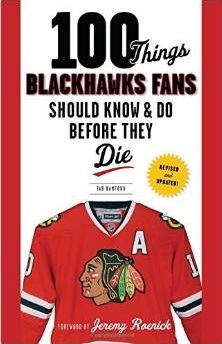 Assuming Toews will not be back by Thursday, what will Q do with the forward lines? Will he play Kane at center again? Will he play Edjsell at center? What side will Sikura play and who will he play with? I watched a bunch of the Boston-Michigan game today and I don’t see the big attraction with Brady Tkachuk. I’ve seen Boston one other time and didn’t notice him in that game either. On the other hand, watching Michigan against Northeastern yesterday and today against Boston, I was pretty impressed with Hughes. He is a little guy but I say him check bigger guys off the puck and he’s as quick as a water bug. Because of his size he’s probably not going to be drafted ahead of a couple of the other d-men but some team is going to be pretty happy they drafted him. MOX, I hope Sikura turns out to be a good bottom six forward like a Frolic who can skate and maybe get us 15 goals. But again, we see how Debrincat disappears in games when teams like San Jose, LA, Nashville, the Jets, Pens, Flyers, come into town. Too light, not gritty enough. I was watching the Pens vs the Flyers today on NBC, and everyone can skate but more impressive was the speed and grit shown but smallish forwards like Simon, Sheary and Rust! I mean these guys get their nose dirty and are relentless because SID plays that way. Question: With all those superstars making all that money, how come their GMs hthe last 10 years have not gutted their farm system, drsfted well, and made good trades??? Once again, Bowman calling up EDJ is not the right message for the Rockford prospects. Players like IACOPELLI , who we drafted in the 3rd round, skates really well, has size and a NHL shot, should have gotten the call. I saw the youtube highlights of EDJ in SWEDEN and he is slow footed, maybe slower than AA! How is that going to help us? Again, watching today’s game between the Pens and Flyers gives you an idea how far behind we are in talent. I am okay with size but they need to skate with speed. Evander Kane type winger would help! Forgot to mention my sentimental pick, Bobby Hull’s Winnipeg Jets who put on a every night. Everyone has size and speed on the team! BLAKE WHEELER is huge! Debrincat, Hinoistroza, Sikura are good little players but too light to compete play against such a teams. The Hawks Cup teams had KANE as the lightest forward! Mikita, all of us have our opinions and expectations. My opinion is that Sikura has skills to be more than a 15 goal bottom-6 guy and my expectations are he will be. But, we’ll see. Regarding Edjsell’s skating – based on the little I’ve seen of him in game action, I fear you may be right. But, it wasn’t Hartman for Edjsell – it was Hartman for Nashville’s 1st with Edjsell kinda thrown in. This is a pretty good draft class so even if Nashville wins the Cup – that #31 pick could still end up being a pretty good player. Great news and let Sikura become this summers deBrincat. EB my take on Hughes is high risk with the type of talent available on blueline. If he pans out and you get little smaller version of Klingberg or Karlsson, he will be special but if not he could end just being remembered as Jack Hughes older brother and who Biwman missed by taking him. He stands out but doesn’t seem dominant at college level which you want from gifted offensive defenseman. Ejdsell was playing center in Rockford so likely centers a line tomorrow night. That polo looks a little baggy on Sikura. Maybe he didn’t like the cafeteria food in college. Kidding aside, I hope does well. Full marks for loyalty. Didn’t ever doubt Hayes. This guy is going to be a Johnny Wayne guy. Wasn’t sure on Sikura, though always felt he would earn his keep the right way/paying your dues. Wasn’t worried one bit with this guy. Just felt that he knew he can make team better and would want to take pride in that and not jump on a bandwagon team with lots of younger players/with no Champions on it. If we draft a dman as one of our two picks, he needs to shoot left, and has to have size along with some good speed. Mitchell (Never understood that pick) and Jokiharju are smallish. Someone like Hanafin, Ryan McDonagh, Cam Fowler, or Lindholm. Not sure Bowman and Kelley can be trusted…. let’s see what happens. But not Hughes, I agree! Watched Preds-Jets tonight(love some of their guys like Connor, Ehlers)—what a game, both teams with speed, skill and size. Saw some real distance between these two teams and the Hawks. But hopefully that gap closes in the next two years. Makita Blake Hillman or Dennis Gilbert have some size and promise and shoot left. There won’t be a top left shot dman with lots if size taken in top 10. There could be one or two available with Preds pick who are physical types. Hillman plays with a nasty edge. Gilbert played with more snarl this weekend than I’ve seen in the past. On Sikura, in a younger faster league, Chicago just got a kid who is young, fast and skilled. To me that’s great news. Ian Mitchell by the way was a top pairing defenseman as an 18-year-old on the defending National champs, no small feat. I’ve seen a ton of Dante Fabbro for Boston University and think that Mitchell is pretty close to his equal with perhaps even more offensive upside. I understand the size and net front and not get pushed lyrics. The whole league is fast so if were not it doesn’t matter if were built like STL and LA. BOS was that way and now there good again because of more speed the before. We need everybody to be fast or fast enough. The more that can hit that’s fine. Speed first size second league. We want speed skill guys that are tuff. Not everyone is built like Hayden or Wheeler. I thought he was Noticeably better than the AHL’ers on Sat. nite he played with. First I was worried that Sikura was not going sign with the Hawks. Then I was worried that he was going to sign and not live up to the hype. Now I am relieved that he didn’t leave the Hawks hanging like Hayes did. I just want to see him on the ice and get a sense of what he is about. I’m curious to see what how high his ceiling can be and how soon he can realize it. I imagine that the next few games are going to be about simply getting his feet wet in the NHL so I don’t expect much, but I am excited none the less. The young talent on this team is encouraging, but frustrating as well. It’s hard to be patient for talent to develop when you are used to winning now. Logically I know not to expect much from Sikura any time soon, but emotionally I want him to be able to step right in and contribute right away. If I had to guess what path his development takes, it would be one similar to Schmaltz. Has trouble being consistent, gets sent down to work on his game etc… I hope he is able to produce in the short term without impacting his longterm development. Board play– Very much like TT… not gonna do it!!! Good to sign up this kid. Nothing to lose and much to gain as Sikura possesses talent and speed. The rebuild continues. Schmaltz showed deft take away skills early on with the Hawks and he is still improving his two way game. For a game that does not matter this evening it will be worth watching given likely Hawks lineup changes. Mo-I agree fast is in and he is fast which is great. Some teams like the Jets have fast, but also big strong guys that can skate. Love the D-Cats, Gaudreaus of the league but having a few really strong bigger guys that can move is helpful as well, especially against certain teams. The Hawks are becoming deeper and quicker but feel that some nasty and hard to play against would be a bonus. ER there aren’t many, if any, in the hockey world (the experts) that don’t really like Tkachuk, although probably long gone before the Hawks pick. Does Sikura burn the first year of his ELC if he plays in the remaining games this season? Springfield – yes, Sikura burns the first year of his ELC. Unlike other prospects who are locked into 3-year ELCs, college seniors get 2-year ELCs and one of those 2 years can be burned by playing one of more games in the season they sign. So bu playing in a game this season, Sikura reaches RFA after the 2018/19 season. EB elc length is based by age. Casey Middlestadt 19 just signed a 3 year elc because he is under 22. The league also classified him as a 20 year old so he could burn his first year. His birthday is in Nov. so he would be eligible for a slide year this season and be able to play 9 games and it not count as year. But with so few games left the league decided it shouldn’t apply and playing one game can burn year like anybody not in a slide year. Cap friendly has better explanation if you want to read it. who cares about Kevin Hayes at this stage. That was so long ago now he was drafted in 2010 after all. First, the Org probably shouldn’t have traded his brother. However, if that’s the reason he didn’t sign, that tells a lot about his character, so does taking a dump in a stairwell in college, and choosing to not sign on a team that had competition on the roster. Honestly, it was known for a while he probably wasn’t going to sign here and signing with the Hawks was far from a for sure thing. Which brings me back to the whole drafting college kids vs other players. I never had the sense about Sikura not signing, I was more concerned about his size and skill, He has the same frame as Johnny Gaudreau and the competition at Northeastern. Having seen Sikura in person at several prospect camps now he is small like little. He is good with the puck but just looking at him vs John Hayden is a HUGE size difference. Lets see what happens. Ian, thanks for the clarification. Makita I don’t think you can go into a draft with too much of a preconceived notion of what you will take. That is how you underdraft and miss out on game changing talent. In the first round especially, you should always take the best player available regardless of position. If you want to draft position specific, maybe look for that later. I agree the Hawks desperately need a left shot dman capable of being a top pairing guy. But I don’t want them to miss on their top pick to try to force fit a guy who has less potential than say a winger who has more of a skillset to succeed in the NHL. As someone mentioned watching teams like NASH and WINN it shows how much of a skill gap there is between our club and those ones. If we can get anyone that closes that gap lets go for it even if it is a winger because at this point there is really nothing that we don’t need. Wall, Schmaltz is only drawing comparisons to McDavid for his skating ability with Kane among those doing saying it. Your on the whine he needs to improve, unreal. Size is useless without speed and skill. Sikura will be a very good player. I saw someone mention Gilbert…I was in Bridgeport and saw him get walked repeatedly by Michigan Tech…he is big but slow…won’t make it. We should have nudged St. Louis out on Mitch Reinke…that kid is a right shot D that is CALM under pressure and could have heloped us. Ian– I am NOT saying Schmaltz – can’t skate! He is a great skater… great speed/acceleration…. Sikura- is very fast- how fast ??? idk… I would need to see more… But even greater asset is his shiftiness – is like Kane… Kane- is both fast and shifty/stops/starts… zigs/zags… Sikura – skates more like that-imo… just hope Sikura has that “6th sense” like Kane… and can elude those nasty big hits. Noon, we do need some guys like that. We needed a whole lo of fast compared to a yr ago though. If Sikura’s first game is Thursday against Winnipeg, as expected, he will get a rude awakening as to the difference between college and the NHL as the Jets are probably the team with the best size/speed combination in the league. There are only 3 players on the Jets under 6’0″ and they have 10 forwards and 5 d-men over 200lbs. Conversely the Hawks have 6 guys under 6’0″ and only 5 forwards and 3 d-men over 200lbs. Tab, I agree on Mitchell. I watched about half of the Denver – OSU game yesterday and Mitchell is a very good skater and looks to be a really nice prospect. Hillman, on the other hand – didn’t see much to get excited about with him. Mitchell may take another year, maybe two, but if he keeps developing I could see him being an NHL d-man and probably better than a bottom pairing guy too. Nobody should be compared with McDavid’s skating – he has a gear no one else has. Truly amazing speed. Schmaltz is fast – but not “McDavid fast”. I would say the Hawks have 3 guys who would be considered NHL elite skaters – Schmaltz, Saad and Hinostroza. We’ll see if Sikura fits in the category or possibly a notch below them. EB good points, Jets will be a provide a strong test for Sikura especially if Blackhawks keep game competitive. McDavid is stand alone talent for sure but watching them play Islanders early this season and saw Leddy chase him down on a breakaway in OT. I have buddy who is an Oilers fan was watching too and piss him off by needling him about it when talking. EB… so Kane isn’t an elite skater??? u crazy!!! Tab, I think you need to chill and understand what my message was and reflect on your remarks. The Hawks drafted a right handed offensive Finnish dman as their 1st round pick last year with not much size. Ian Mitchell is the same player with even less size:? Thus, why waste that pick on the same type of player and not draft a goalie or a left handed Dman or a left winger??? Logical in my opinion and I think you can come up with a better use of the English language to debate Stan Bowman’s drafting ability. Concerning Sikura, a very late pick unlike Hayes who was a 1st round pick. Yes of c ourse his size is a legitimate concern (Replay games: Jets vs Preds or Pens vs Flyers yesterday) even though he has speed. Now we have Hinostroza with elite speed and grit but gets pushed around…Debrincat who dissappears when you play the elite teams like the Pens, Jets, Ducks, Preds, the Leafs, etc… and now you want Sikura to save our future??? Unless he is the reincarnation of Kane, what does he bring? I think he has great skills and hockey IQ but the reality is that he was drafted really late and he will be vulnerable when opponents with size and skill chase him into the boards. I mean, does he replace PANARIN? Of course not!!! Hossa, never? So what do we have? Mikita, everyone is entitled to their opinion and my opinion is pretty much opposite the opinions you stated in your last post. First, drafting is a crap shoot once you get past the first 5 or 10 picks, and even then some don’t work out. So to presume that because Stan drafted Jokiharju he has the RD spots covered for the next number of years – and consequently he should have passed on Mitchell is an opinion I don’t agree with. Hopefully they both work out but maybe neither will. As to DeBrincat “disappearing” against certain teams – I think that’s a wrong assumption. I didn’t go back and look at the box scores but I’m pretty sure one of DeBrincat’s hat tricks came against the Ducks. Furthermore, to assume Sikura is going to be ineffective or that he will shy away from the play when they play the big boys before he has even stepped on the ice is nonsense. There are plenty of smallish players that do quite well in the NHL. Maybe Sikura will or maybe he won’t but neither you nor I know at this point. EbonyRAP, everyone has their own opinion which is great. I am all for that. I can disagree which is my opinion. Tab referring to wiping and flushing is not an opinion, it is just frustration that we may all be right or all be wrong, that includes myself, you or TAB. So, I do think drafting is a crap shoot but you also have to draft with needs after the first round. Case in point, when we BOWMQN drafted DEBRINCAT in the 2nd round, look at all the goalie prospects that where up for grabs afterwards??? So, Ian Mitchell might be a great draft but if Jokiharju plays the same position, shoots right and is smallish, then why not diverisfy your blueline, or draft a goalie, or a left winger? Must we remind ourselves who Bowman has drafted lately: Anthony Louis, DeBrincat, Hinostroza, and Sikura. Then signed smallish free agent forwards like 5’7″ Pelletier? Highmore? Noel? All on the lightweight. We can try drafting speed with size, that is all I am saying. Debrincat scores goals but be honest with yourself, if he wants to be a game changer, he needs to add much more grit because he does not have PANARIN or KANE speed. Maybe he turns out to be a gritty scorer like Brian Gionta, which would be a good role model for him! Mikita – log off for a while. You’re hilariously lost. Try drafting speed with size. OK, that sounds easy.